Kim Saed is the founder of Let Me Reach, an educational site for people who are coming out of emotionally abusive relationships. Kim herself had previously been caught in an abusive relationship for some time, and was drawn towards helping others suffering from emotional or narcissistic abuse. After writing about the topic on a part-time basis for a year, she decided to go full-time into her coaching practice in 2013. Kim focuses on clients who are committed to going “no contact”, helping them prepare and deal with the road ahead. There’s a period in which a person will go through cravings and withdrawals, essentially chasing the rush of dopamine they got from the abuser. This happens because with an abuser there are usually moments of extreme highs and extreme lows, and we chase after those “highs”. People stay in abusive relationships because it feels natural to them. Frequently codependents don’t have just one abusive relationship, but it’s a pattern for them. Kim says that we’re often trying to resolve wounds from childhood or early adulthood with that same reward / punishment system that we had at a young age, seeking approval or validation that we’re good enough for who we are regardless of what we give to other people. She has found that the majority of her clients have codependency issues as well. This challenge is probably one that many will deal with concurrently and after they break away from narcissistic abuse. Her experience further validates the magnetic attraction between narcissism and codependency. Brian: Welcome to the Codependency No More podcast. I’m your host Brian Pisor and this is episode 9. Today we’re joined by a guest who specializes in helping people who have been through narcissistic abuse. This interview is a result of some feedback from our audience from people who wanted to know more about narcissism how to deal with narcissists, how to leave a bad relationship, and why we stay in relationships even when they’re harmful to us. Kim, our guest, is an expert when it comes to these topics. She’s a full-time coach who helps people break away from narcissistic or abusive relationships. She’ll help you assess whether or not you’re actually in a narcissistic relationship. She’ll help you prepare and get all your ducks in a row to leave the relationship. And then once you’re out she’ll help you do what she calls ‘no contact’ to completely break contact with that individual. And she says this is the hardest part of the process because there’s usually a period of time during which you go have cravings and temptations to go back to this person. She can help you stay the course and get ready for a healthier chapter in the next part of your life. So, Kim has a world of insight when it comes to these topics. The interview is really good, and I hope you get a lot out of it. So here it is. Brian: I would like to welcome to the show Kim Saeed who is the founder of Let Me Reach. Welcome to the show, Kim. Thank you. I’m really pleased to be here. Question: Well, we’re glad to have you. Why don’t we start out by having you tell us exactly what Let Me Reach is? Let Me Reach is an educational site for people who are coming out of emotionally abusive relationships. One might have the narcissist or the cluster B disorder personality type. Question: And so how did you find yourself interested in that? How did that end up being your expertise? Well, I am a survivor and thriver after narcissistic abuse. Incidentally, when I first started my blog, my focus was to provide guidance to new entrepreneurs. But while doing that for about six months, I kept feeling a pull to write about my experience. So, one day I just did a complete overhaul to my site and turned it into a resource for people struggling with narcissistic abuse. I went with it. I sure did. Well, when I first started my blog I was writing part-time and teaching. Then about a year ago I started my practice, and that just kind of grew into a very successful avenue. I’m really helping a lot of people out there going through the same thing. Question: Is this something you do full-time? I do. I actually left my teaching career to do this full-time. Question: Oh that’s great. Is your coaching specifically on relationships at this point? Well, I actually specialize in coaching people who are going ‘no contact’ as well as those who have left a toxic relationship and are ready to go for healthy relationships. I like to work with people who’ve already made the decision to go no-contact because that in itself is a very personal decision that comes with a lot of challenges, so it’s a different case when someone’s already made that decision. I do offer consultations for people who are struggling in their relationship, wondering if they could be with the narcissist. I’m not a licensed therapist at this point, but I do want to know whether their partner fits certain criteria. The main way that I’m able to determine if someone has been narcissistically abused is by their symptoms. In this particular niche, it would be called narcissistic abuse syndrome. And so that’s how I’m really able to determine if their partner is, you know, an emotional abuser. Question: We’re glad to have you on because this is going to apply to a decent portion of the listeners out there. Let’s get right into the specialty here. What have you noticed about the clients and the readers that are drawn towards you? Is there any correlation that you’ve noticed between those people? I have actually discovered many commonalities in my clients from the research I have done, mostly by the personality questions that I give them when they sign up for coaching. I don’t know if I shared this with you yet, but I actually share your codependency quiz as one of the questions I give my new clients. What I’ve found is that those who find themselves in hardship relationships do generally share specific personality traits. Eighty five to ninety percent of my clients are considered ENFJ on the Myers Briggs personality type indicator, which means they’re intuitive, introverted, feeling and judging. People can be extroverts but that’s just the main Myers-Briggs personality type. They’re also highly sensitive, meaning they practice their emotions, but their emotions are much more enhanced. In the general population, they tend to absorb and feel the emotions of people around them, and have a hard time trying to determine whether those emotions are theirs or someone else’s, and they’re all highly codependent. I’ve only had one or two clients over a year’s time that were not highly codependent; one was in the middle, and the other one had some codependency tendencies but nothing that would really cause trouble in their relationships. So yes, they are very highly codependent, and I am still a recovering codependent myself. I do like to share that with my clients. Brian: One of the last guests I had on the podcast mentioned that she felt very sensitive to other people’s feelings and thoughts, like she almost felt as if she had a superpower. Her superpower was understanding how other people feel. What you’re saying validates that a lot for codependent people. Kim: I feel like there’s an increased awareness of how other people feel and that’s true. Of course, not all empaths are codependent, and not all codependents are empaths, but most empaths struggle with codependency because there is a correlation and that similarity of not liking conflict and pretty much avoiding it at all costs. So there is a correlation there as well. Question: Do you think that’s because a lot of codependents — and I don’t want to blanket us all into a category — but a lot of codependents did have circumstances in younger years where they had to be more sensitive to people either because they were trying to keep peace or they were the moderator inside their home. I think in most cases (as you said, not to use codependency as a blanket term, but in most cases), people do participate in codependent behaviors. Often, they weren’t loved for who they are, but because of how they behaved or what they could do for their parents or their caregivers. And this usually plays out in the same or worse dynamic in their present relationships that they’re having with their abusive partner. So, to answer your question, most codependents did grow up with a very sad and unfortunate family unit. Brian: Now let’s shift over to a question that we had asked people, and then ask you to talk about this whole process of leaving that relationship. We asked our readers an open-ended question: What are the top two things that you want help with related to codependency? About 12 percent of people asked questions related to one of the following. Either leaving a bad relationship and how to do it, or why do I stay in a bad relationship even though it’s bad, or I want help dealing with a narcissist. That’s a fairly significant portion of the audience. Question: So can we talk about a little more about your experience in coaching people through those type of circumstances, and dissect your process and how you coach people through this? Is there a step by step process to do that? How do you assess this and help people through it? I do lead them through a certain number of events. I think the biggest reason that most people go back after the first time they leave is because they don’t really realize that they have to get prepared for it. They have this belief that, ‘I’m just blocking this person from my mind and that’s going to be it.’ And it doesn’t really work that way most of the time. There is a certain level of mental preparation that one needs to go through. It’s kind of like quitting smoking or quitting alcohol or drugs. You want to set the day and get yourself mentally prepared for that. And there are also, in most cases other steps that you would need to go through to prepare yourself for the day. I talk about this in my book How to Do No-Contact Like a Boss. You need to do things like getting your finances in order, opening up a new account if you need to, contacting an attorney if there are kids involved or if you’re married, and just getting all of those things kind of in order for you to go no-contact. It’s really much harder to do certain things after the fact if you haven’t planned ahead, like get a hold of important documents or anything of that nature, so it’s really about preparing. Then, there’s the day of no-contact. I help people with that struggle, as well as how to maintain no-contact after they’ve implemented it. I help them when there are obsessive and intrusive thoughts, and just be there as a coach and a motivator so that they don’t break no-contact. It really is a lot like going through rehab. There are biochemical factors involved, like a period of withdrawal and craving. I’m there for them as they go through that stage as well. Question: I’d like to talk about that stage a little bit with regards to obsessive and intrusive thoughts, as you put it, and the biochemical things that happen when they’re not in that relationship anymore. What’s the pattern? What tends to happen to people once they’re gone, and how do you advise them to deal with those things? Well, if they made the decision to go no contact and haven’t done it yet or, even if they have and they’re just struggling with that, I do explain to them this is what’s going to happen when you’re experiencing the withdrawals. You may go on to your ex partner’s social media and basically stalk them online, maybe breaking no-contact, having that urge to reach out, and there are different reasons for those things happening. We don’t realize that we’re actually abusing ourselves so we can get that dopamine rush. People that are in this situation have usually done a lot of research on this, and often have come across the term “dictum peptides”. What that means is we’re in a relationship with a toxic personality, and the only thing we ever experience with them is when they’re in an extreme high or an extreme low. We get addicted to that over time, just like we would alcohol or drugs. Once we remove that element, then we do experience withdrawals. We start going online and checking out their Facebook, and we have a really hard time not reaching out, not emailing or them, etc. What we’re doing is just really subconsciously re-abusing ourselves so we can get that high. I prepare people for that. And the second biggest thing that my clients struggle with is doubting themselves. Maybe they are with a narcissist or whatever, you know, fill in the blank. Well, one day the relationship ends. ‘Maybe I didn’t try hard enough.’ And in that time, from that long-term conditioning, that’s exactly what psychological manipulators want their victims to feel like because that ensures that they’re going to always be there for the abusive person whenever they want or need them for anything. That’s the second biggest struggle. Question: These are really interesting issues. I want to dig into the first thing you mentioned a little bit. It almost feels like somebody tries to fill a void once they leave. There’s this thing that I got from being with this narcissist, and that was a rush of dopamine when this or that happened. And now that I don’t have that person anymore, I’m trying to get that same feeling some other way. Much like an addiction to alcohol or cigarettes or anything else. There’s a biochemical thing happening, that you want to hit that pleasure or relief center in the brain, so flirting with contacting that person again starts to become appealing. I’m sure you have a lot of material and advice about this, but to keep it high level, how could somebody prepare for that and what could somebody do? Is it about distracting yourself or is it about really feeling that deeply and actually coming to terms with it and trying to create a different reaction instead? When you feel those cravings, what’s the key? Well, it’s really a little bit of both. The first thing that I usually recommend, again because the people that reach out to me can probably have a Ph.D. in narcissism because they read so much. Research helps us understand on a logical level exactly why the narcissist or other toxic personalities behave the way they do, but it’s also important to know when to stop reading about narcissism, at least for a little while, because again that is in a sense breaking down contact. I talk about this in my book also, and I recommend just planning out a daily schedule of what you’re going to do from time to time, like guided meditation for example. Go out with a friend, go to a movie and just really plan your time out so that you’re not at home obsessing about your partner. But also, at the same time I recommend having time to sit alone with yourself and feel the feelings as you said, because what we have to do is realize what it was about ourselves that kept us in that relationship for so long. And it’s only by acknowledging those emotions, sitting with them and doing some self-inquiry, we can really feel them so that we don’t find ourselves in another abusive and toxic relationship. So, I do recommend journaling, and writing about your triggers when they happen. There are a number of things you can do without breaking contact again such as journaling, writing a letter to the narcissist but not sending it, typing out an e-mail and sending it to myself instead of the Narcissist. Just little things like that. Question: If someone is able to release those emotions without breaking no contact, do you think it should be done in the steps that you mentioned? In my mind, sitting with it and doing the self-exploration is probably a key milestone to eventually getting better, but that may not feasible if you’re fresh out of it. If it’s too intense, do you need to distract yourself at first until you’re ready for that? I think it depends. Some people are stronger than others and are able to do that. I’m generally able to determine that while working with my client one on one. You know, it’s not necessarily we have to do ABC. Sometimes with a C and B but those are just some of the steps just to get through that contact. At some point, some people have to go on medication because they’ve been so emotionally traumatized. In that case, if someone does reach out and they’re extremely traumatized, that’s beyond the scope of what I can do as a coach. I can still help them with no contact, but sometimes they really need to go to a therapist. I also have someone that I refer clients to for inner child healing if things are beyond my scope at that point. I do have things that can supplement that kind of therapy, but I’m not a therapist so I can’t walk through those particular steps. I can help them go through no-contact when they’re ready. Question: If somebody was a client with you and they were triggered uncontrollably, or they felt like they needed you, are you on call or do you do sessions on a regular basis? How does your program work? Typically, we have one session per week but if, as you said, it’s someone who’s just triggered I can break down their sessions and do it two or three times a week. Sometimes I’m able to offer them texting. So instead of calling and reaching out to their toxic partner, I can walk them through that. It just depends on the client and what their needs are. I’m not always able to be there 24/7 obviously. But I do what I can, especially for someone who’s just been extremely traumatized, there can be a little bit of extra work. Question: There were a couple of things you mentioned on our previous conversation that I want to give you an opportunity to talk about. They had to do with counteracting limiting beliefs and retraining the brain. It sounded like those were fairly prominent issues. Do you commonly have to do this with a new client? Could you talk about limiting beliefs and how you work to counteract them? Sure. Since dependent behaviors have been validated through the kinds of relationships that codependents tend to attract, once they’re in them they inadvertently perpetuate their false beliefs in relationships, whether they’re romantic or otherwise. That’s where the self-inquiry comes in. That’s where we need to stop and challenge our beliefs, and that does take a certain level of mindfulness and practice. But when those beliefs serve them you want to stop. For example, is it true that all relationships involve emotional abuse? Because that’s what most of us learned as children; love involves pain. I have to turn the other cheek. I have to love unconditionally, and those things just aren’t really true in all cases, but this is often what people believe, especially people who don’t have positive role models to look up to. Or perhaps they do have a positive role model but maybe they’re getting depressed believing that a healthy loving relationship just isn’t an option for them. But the reality is that not all relationships are abusive. We have to stop when we have those thoughts and realize that we do have choices. Making those choices brings with it a certain amount of challenge. There is that period between making the decision to get caught no contact or leaving the relationship. That’s really the first step. All the really hard stuff, believe it or not, comes afterwards. But part of that, again, is changing our limiting and negative beliefs; retraining the brain. That means we need to rewrite those inner scripts that we have about ourselves, and there are many ways we can do that. CBT (cognitive behavioral therapy) is a good way that the traditional therapists can do that. But on the home front, I’m a really big proponent of guided meditation. I like those because they’re not only soothing on a subconscious level but they have you know positive affirmations within them that if you practice it consistently can help us write our narrative script, like planting a seed and then nurturing it each day. If we focus on the positive things that lie in question, and realize that like and love don’t need to involve all the emotional pain, we can eventually start to believe that. Question: Well, maybe after the show you could provide some of the guided meditations that you mentioned. If there are specific resources that you know of or that you refer your clients to I’d love to get some of those. If so, I’ll put those in the show notes page for this particular podcast because I know some folks will want to see what you’re talking about. Here’s a big question. Why do people stay in relationships that are abusive or unhealthy? Well, again, they’re doing that because that’s what feels natural to them. You know, when I’m working with a client, for example, a common theme is that this is the first abusive relationship that they are in. Again, we’re trying to resolve those wounds from childhood, from early adulthood, in your own family. It wasn’t only from our parents or caregivers, but those limiting beliefs about who we are can also be concreted by our teachers or people in church. So, it was just society as a whole and some of us think you have to be this way if you want to be loved. And so when codependent people enter into these relationships and then stay in them, we’re just trying to resolve all our childhood wounds basically in this chamber of war and punishment dynamic that we’ve had with our parents. Of course we don’t go into the relationship thinking, ‘oh god, mommy daddy issues’ in the anger because most of it is on a subconscious level, meaning it’s never within our awareness that we’re doing it when we’re seeking approval. We receive validation that we are good enough just for who we are regardless of what we can give or do for other people. That doesn’t mean that we should go into a relationship expecting to just take, take, take but we go into relationships with the idea, ‘I have to do this if I want this person to like me,’ and then we just completely lose our whole identity inside of that relationship because we’re doing everything we possibly can to make the other person happy. They tell us, ‘You’re a good person. I love you. You don’t have to do anything for me to write you in.’ That’s why we stay. We’re just looking for that approval and that validation that we get that we never got as children. Brian: It makes sense how it’s not just purely logical, because it’s very illogical to stay in a relationship that’s not good or in which you’re getting abused or hurt. It just doesn’t make logical sense. Yet, a lot of people do. You mentioned a minute ago that it’s sometimes below the surface; the reasons aren’t readily recognizable to a person. I think that’s why it seems to me that self-awareness would be so crucial; so that you can get past the logic and down into yourself, your thoughts, emotions and even your past. You see why you might be staying, and perhaps resolve that so that you can move on. A really big one is intermittent reinforcement. In the beginning, there’s the love bombing stage because they know that we want love and that’s really the biggest thing for us. As a codependent, even as a caring codependent, we want the ones we have and the narcissist knows that. It’s always that dangling carrot after the bombing, and then the mask starts coming off the dangling carrot. Well, I’ll stay with you if you do this for me. It’s a very vicious cycle. And again, you know they’re triggering that child inside of us that wants that validation, and that’s another reason we stay in that relationship for so long. Question: That’s good insight. I have a few more questions for you as we wrap up. I want to give you a chance to talk about your book and your web site. Do you want to tell people a little bit more about your book and what they could expect, and where they could contact you if they want to? Sure. Well my web site is letmereach.com and my book is How To Do No-Contact Like a Boss. It’s available on Amazon and Barnes and Noble. You can put it on your Nook or EPUB, PDF through Smashwords. Question: Okay great. And if somebody wanted to contact you about coaching would they go to letmereach.com? Yes, and I do have a specific sectin at the top of my web page that just talks about their current packaging and initial consultation. Question: Okay great. What would be your biggest piece of advice for a codependent person? I think the biggest piece of advice I would have is to let the things go you can’t control, and just focus on the facts. Don’t try to change a person who has no interest in changing (and most of the time that’s a romantic partner), just focus on the things you can control. Alice Walker has a quote that I just really love. She says, “The most common way people give up their power is by thinking they don’t have any.” So, it’s important to realize that we do have power over our lives, and we don’t have to keep giving it away. Brian: Well thank you. That’s a great piece of advice. And I’m going to wrap it up here. Thank you so much Kim for coming on. It would be great to have you again in the future if you’d be willing to. I can’t wait to see what kind of response we get from the audience because I think these this discussion is really topical for us, so thank you so much for being on. Kim: I do have some final thoughts there if you can edit this in somehow. Question: So if there’s something in your life that’s bothering you and just won’t go away, don’t try to avoid it and get away from it. Maybe you should turn towards it and see what it’s trying to teach you? Kim: And look inward instead of outward. Brian: Yeah. Well, this is wonderful. Thank you so much Kim. This has been an excellent episode and I can’t wait to see what kind of response we get from the audience from everything we’ve talked about. Thanks again for being on. And we will we’ll catch you another time. Kim: Hey we’re all human. I didn’t mention to you this before, but I do have your own web site in the back of my e-book so people can go in and sign up for your mini course. Brian: Oh wonderful. We’re actually going to put several links. Everything that’s we’ve talked about in this episode will go in the show notes for this page, and we will be linking to the book on your web site as well for anybody who wants to find it. We really appreciate the symbiotic sort of relationship going here because we have two topics that are so closely related, and we might as well share each other’s resources. Kim: I agree. This has been fun. Thank you so much for inviting me. Brian: Thank you so much Kim. OK. Take care. You too. Bye. Well, if you are interested in learning more about narcissism or leaving a bad relationship, I hope you found this conversation with Kim valuable. And I also want to reiterate that the items and resources that we talked about in this episode can be found on this episode show notes page which is at codependencynomore.com/session9. On that page you can find a quick summary of what we discussed along with a link to Kim’s coaching practice, a link to Kim’s book How To Do No Contact Like A Boss, the guided meditations that Kim recommends as well as the mini course that she recommended. The mini-course is a free resource that we created (my sister Jennifer and I) and it’s an eight-part series with about 2000 words and about 30 minutes of video that we just added. It gives you a basic foundation for what codependency is and tips towards recovery. 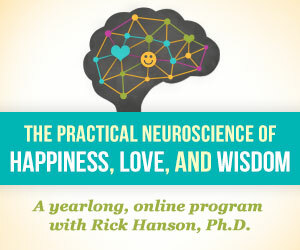 So if you’re interested in that, it’s at freecodependencycourse.com. I hope you found this episode valuable, and we look forward to talking to you in episode 10. This podcast was so awesome. It gave me a lot to think about and to consider. I really appreciate the information. Thanks for listening, Lanira! So glad to know the podcast gave you some things to ponder. I learned all of it the hard way, but it’s also a main theme that comes up with my clients. During my journey, I thankfully learned to forgive my parents for how I was raised because they really didn’t know any better and were trying to do the best they could with what they had, all while dealing with their own unresolved wounds from childhood. I have learned so much from Kim and I truly believe the Lord helped me find her to realize who I am, why I chose the relationships I chose, how to feel okay with it and how to move on. There are more of us out there than we realize and I thank God for the Wisdom in discovering myself, healing, forgiving and moving on. God bless you all. I just finished listening and this was very informative. I feel as if I need to re-listen to further understand and to understand deeper. The chemical addiction aspect felt like truth. It’s a little disheartening though, and feels like it’s a roller coaster ride that I will never get off. I just want to stop. I feel scared that I will keep making these choices, keep going trough this. And now I am co parenting with my ex who I believe has BPD/Narcissism. How do I do no contact with someone I share custody with? Thank you for listening to the podcast. The chemical addiction does indeed take some time to work through, but just as with any other addiction, CAN be overcome after a period of No Contact. The emotional trauma, however, takes quite more effort to overcome (what with trauma-bonding, healing from abandonment grief, etc.). That’s why it’s so important to do the self-work. I think guided meditations are a great way to start off, and then incorporate other transformational healing activities as time progresses. Co-parenting is indeed tricky, but doable. Quick tips: You don’t have to answer the phone every time they call. In fact, I personally would recommend setting out specific times for your Ex to call, and only answer during those times. Also, don’t engage in any conversations with your Ex. Once they’re done talking with your child, simply hang up the phone. Most of your personal communications regarding your child can be done via email, which is really best because then you’ll have a paper trail in the event you need to use them as evidence at some point. Also, although it may feel uncomfortable, you are not obligated to let your Ex into your home (if they’ve been doing so). That’s your safe sanctuary. During switch-offs, you can plan to meet at the end of your drive-way or a public area (school is a great place for switch-offs). Hope that helps. Just remember that many of the things we believe we’re obligated to do in cases of shared custody is really just our over-conscientiousness firing. Have specifics in the court order, and then stick to them for the sake of your sanity.